Cholesterol is a white, waxy substance that belongs to the fat family, cholesterol play an important role in the body. It is an essential building material of the body’s cells ad necessary for manufacturing a number of important hormones (e.g., estrogen), bile and vitamin D that are essential for normal body functions. Where does your Body Get Cholesterol? You get cholesterol in two ways. The first source is the body itself, mainly the liver, which produces varied in amounts, usually about 1000 milligrams a day. The second source is the food that we eat which is derived from animals (especially egg yolks, meat, poultry, whole milk and dairy products) foods from plants (fruits, vegetables, grains, nuts and seeds) do not contain cholesterol. How does high blood cholesterol cause heart disease? Your body makes all the cholesterol that it needs. However, over a period of years, extra cholesterol from the animal products that we eat builds up on the walls of the arteries in the form f plagues. These plagues gradually increase in size and make the arteries supplying blood to the heart narrower and narrower. As a result, less blood gets to the heart. Blood carries oxygen to the heart, and if enough oxygen rich blood cannot reach to heart, you may suffer chest pain called ‘Angina’ if the blood supply to a portion of the heart is completely cut off the result is a heart attack. Sometimes, plagues dislodge or produce a clot and obstruct the arteries resulting in ‘Angina’ or a heart attack. A raised level of cholesterol has also been linked to other diseases including dementia and kidney failure. 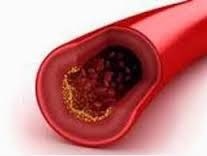 Besides cholesterol, a high level of triglycerides in the blood may also increase the risk of heart disease. What makes your blood cholesterol high? Make a powder with 50 g nigella seeds and 50 g white cumin. Keep it in a glass jar and daily take 2 g with lukewarm water 2 times in a day to reduce cholesterol level naturally. Squeeze 1 Lemon Juice in a glass of water and add 1 teaspoon honey but water should be hot. It will resolve excess fat and cholesterol from your body. Brown rice is high in fiber and source to lower the cholesterol of your daily diet. Eating one plate daily is very effective to reduce cholesterol level. High in Fiber and reduce LDL cholesterol level. Daily early in the morning eats boiled or steamed sweet corn sprinkle lemon juice over it very healthy for the heart and very good sources of reducing bad cholesterol in our body. You can take it as your breakfast. Use of Walnuts and Soybeans for two months thrice a week has marvelous effects of LDL cholesterol. It also improves the ability of arteries and expand its size in normal level for the passage of fats which may cause of heart attack. Apples and Orange Juice can lower blood cholesterol level because they are full of pectin. These are high in soluble fiber and helps regulate cholesterol levels in our body. Also improve heart function. Daily eating 1 cup yogurt may reduce LDL cholesterol. Eating yogurt regularly may reduce the risk of heart problems. Fish is more beneficial and healthy than meat or beef for heart patients. Because Omega-3 fatty acids in fish are help the liver not to produce LDL cholesterol. You can use fish oil capsules as well as flax seed oil and other foods contains on Omega-3s. Garlic and Ginger in the diet protects LDL cholesterol from the harmful effects of oxidation and cholesterol. The liver stimulates the excretion of excess cholesterol from the body. Boil 2-3 cloves of garlic in 1 glass milk and drink it 2-3 times in the week. Best tip to reduce blood cholesterol level is to keep your heart healthy. Daily a bowl of oats is beneficial in reducing LDL cholesterol levels in the body.